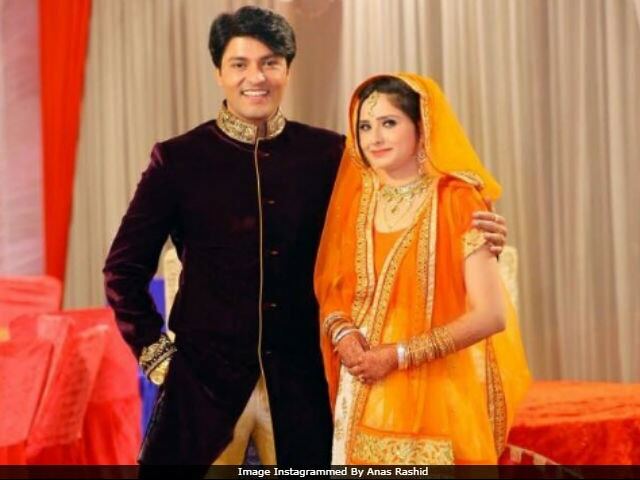 Television actor Anas Rashid, who played the role of Sooraj in Diya Aur Baati Hum, will marry his fiancée Hina Iqbal on September 10, reports Indian Express. The couple got engaged in April this year. The wedding will take place in Malerkotla, Punjab, which is Anas' hometown. "Everyone is really excited at home and we are all geared up with the preparation. Since the entire family is here, we planned to tie the knot in Malerkotla, and when we move to Mumbai, will organize a party there," Anas, 36, told Indian Express. Hina is younger to Anas by 14 years and works in the immigration sector. The wedding ceremony will be held in accordance with Muslim traditions and Anas' friends from the industry are expected to attend it. "Of course they will have to chalk out their schedules but I am sure they will be here with me. There's not much time left, and we are really busy with the preparation. Hina is happily shopping and finalizing our trousseau. It feels great to see my family being so happy. There's a sense of positivity and love all around. The wedding ceremony will be in a traditional Muslim way," he told Indian Express. Here are some pictures from Anas and Hina's engagement ceremony, shared from the actor's Instagram account, which is unverified. Of their honeymoon plans, Anas said that they haven't yet decided the location. "We haven't decided on anything yet. Post the wedding rituals, we will come back to Mumbai. We have our whole life ahead, will definitely plan something," he told Indian Express. A few days before the engagement, Anas was criticised after he made a controversial remark about his fiancée's professional life. Anas' family had chosen Hina for him without the actor's approval. He always preferred an arranged marriage. "I'm working in this industry; aur agar bahu bhi kaam karegi, toh ghar pe kaun rahega?" he told Hindustan Times. Anas Rashid's Diya Aur Baati Hum went off-air last year in September. A spin-off titled, Tu Sooraj Main Saanjh Piyaji, began airing last April. Anas featured in a special episode of the show a couple of months ago.